An accelerator for the A500 which plugs into the CPU socket. 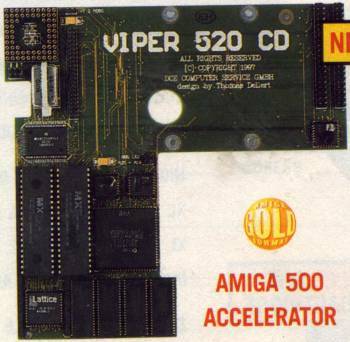 Unlike most accelerators for the A500, this card offers a large number of additional expansions. It includes 1 x 2.5" IDE interface, 2 x 3.5" IDE Connectors intended for CDROMs, Kickstart 3.0 ROMs and a Mini Mega Chip slot. It is unknown whether both 3.5" IDE connectors can be in use, simultaneously with the 2.5" IDE interface.